This blog will view glimpses of Dr. Tareq Abu Hamed’s class, Alternative Energy Science. The class studies alternative energy on many levels beginning with a general overview of energy – both the science and policy, progressing to alternative sources including renewables, and culminating in an group research practicum. 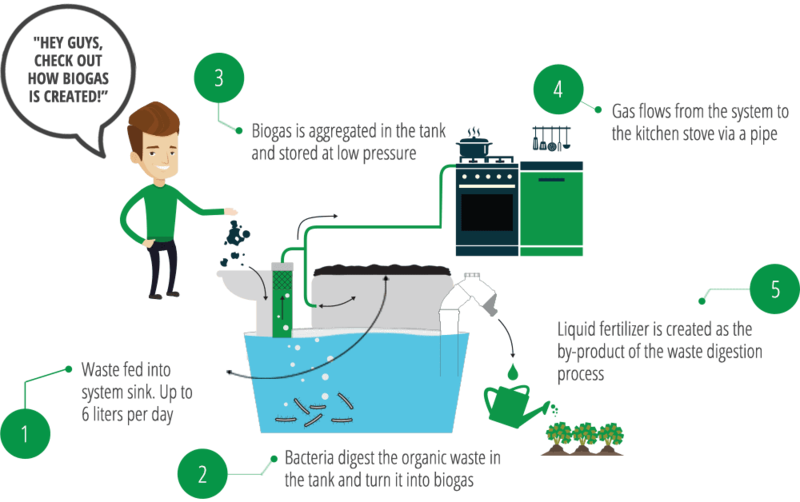 In their third class, students received an intro to biomass, biodigesters, and biofuels. [box]Some background: All organic matter is biomass. When burnt, biomass releases stored chemical energy in the form of heat, providing a renewable energy source. Unlike combustion of fossil fuels which releases carbon dioxide captured by photosynthesis billions of years ago, carbon dioxide released by biomass is balanced by carbon dioxide captured in the recent growth of the biomass so there is far less net impact on greenhouse gas levels. In the following class, Dr. Abu Hamed took the students into the field for some hands-on learning about biogas digesters. 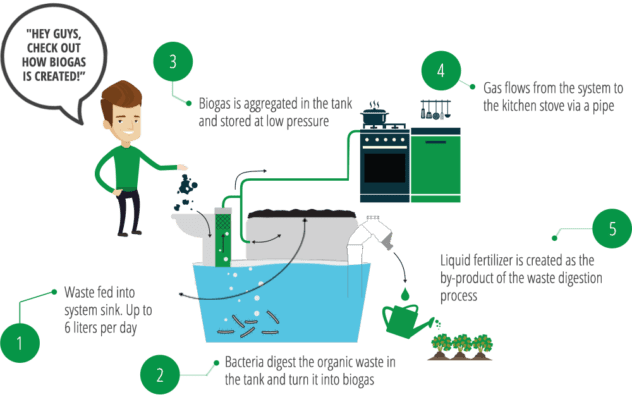 This biodigester in our Off-Grid Research and Demonstration Park, is made from accessible and local materials. It is an easily replicable, DIY digestor used here for demonstration and education purposes. Students arrived, cleared up the area, and brought manure and food scraps to feed into the system. Water is added to both the food scraps and manure and mixed thoroughly. In our demo system, students mix the biomass mixture by hand in black bins, allowing it to anaerobically decompose. Students take turns in maintaining the system, measuring the concentration of methane gas using slurry as liquid fertilizer for biogas agriculture.